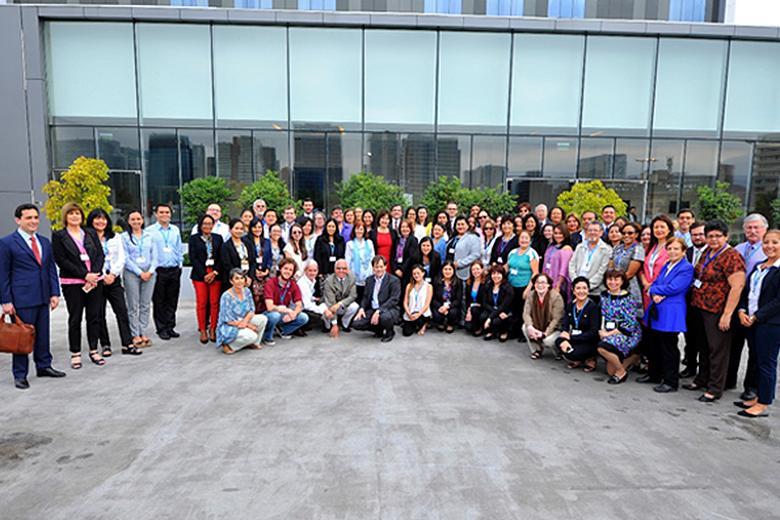 The Institute for Global Tobacco Control (IGTC) at the Johns Hopkins Bloomberg School of Public Health (JHSPH) held the 2016 Latin America and Caribbean Tobacco Control Leadership Program from 4-10 December in Santiago, Chile. The Leadership Program was a one-week, in-depth program focused on building capacity to develop effective tobacco control policy and interventions. It was developed in collaboration with the University Adolfo Ibanez, Santiago; the World Health Organization Regional Office for the Americas (WHO-PAHO); the Campaign for Tobacco-Free Kids; and, the International Union Against Tuberculosis and Lung Disease. Identify the current challenges faced in sustaining progress in tobacco control. Utilize lessons learned in overcoming challenges to tobacco control at all levels and across programs and organizations to inform future tobacco control work. Articulate the relevance of electronic cigarettes and other emerging issues to tobacco control in the participating countries. Describe the mechanisms and extent of industry influence in opposing tobacco control and highlight strategies for countering industry interference. Delineate the major FCTC-5.3 compliance issues in the participating country. There were be approximately 70 participants attending the Program representing 22 countries. There were three Caribbean participants, Natasha Lloyd Felix, Director, Bureau of Health Education, MOH, St Lucia, Kesaundra Alves from Guyana and myself. The participants were moderately to highly experienced and well-qualified in relation to tobacco control, therefore, the workshop was a community of learning. See the Leadership Program agenda here.